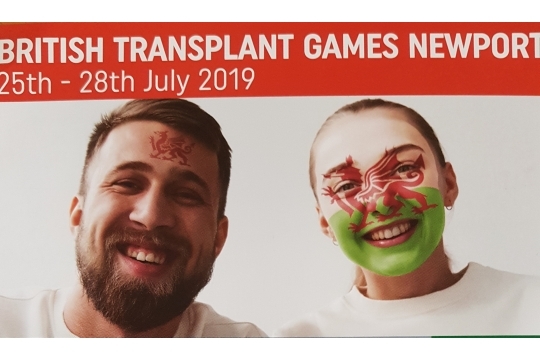 We will raise the funds to send Kidney Transplant Patients to take part in the British Transplant Games Newport 2019. This is the first time since 1996 that Wales have hosted the games. We are going to be the home team so lets make Wales proud aim to field the biggest Welsh Transplant Team ever. The British Transplant Games are not well recognised and as a result do not attract a lot of media attention. It is therefore extremely difficult for Transplant Patients to get the funding they need to take part in these games. The results are far reaching, they increase the athletes well being, keep them active and inspire other transplant patients to take up athletics. We require volunteers to help us raise much needed funds, to support at fundraising events, to help with events and any other support a volunteer can see would benefit our charity.